Movable Wood Buildings Co. has been serving the greater Houston area since 1982, producing and selling designer lines of both metal and wood storage buildings, gazebos, play houses, guard shacks, cabins, carports, greenhouses, and dog houses. We also carry an extensive line of fountains and statuaries. All of our wood storage buildings, cabins, playhouses, guard shacks, and doghouses are sheathed with 5/8" T1-11 premium pine siding, trimmed with 1"x4" western red cedar, and roofed with 20 year Owens-Corning shingles. All building products are pre-cut and packaged at the main factory the Monday prior to erection. 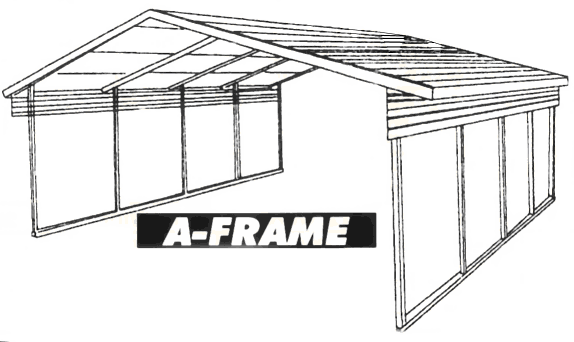 This pre-cut stage insures that construction can be completed at the purchaser’s site by our employees in one day or less for wood storage buildings, gazebos, greenhouses, and playhouses, and within four days for the cabin style structures. Building products are priced to include delivery and construction within fifty miles of our Houston location. For those customers outside the fifty mile radius, a nominal one-time mileage charge is assessed to help defray our additional expenses. NEW!! We have added full lines of Carports and Metal Storage Buildings. Copyright© 2001-2016 Movable Wood Buildings Co. All Rights Reserved.